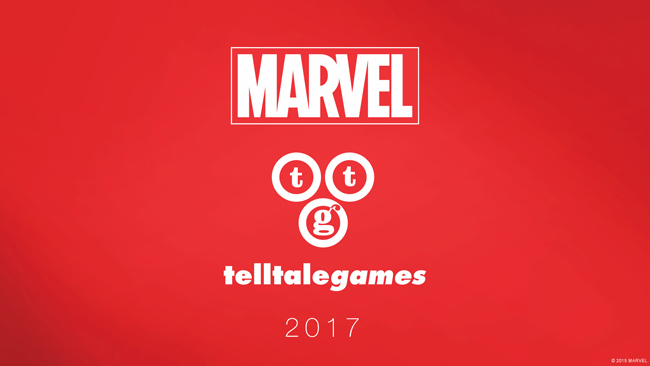 Yesterday, storytellers Telltale Games announced on their blog that they have a brand new partnership with comic and cinema juggernaut Marvel. They plan to work together on an upcoming game, tentatively set for a vague 2017 release. Telltale has previously worked with Marvel’s rival studio, DC, when they brought the thrilling Fables comic to life in The Wolf Among Us. Together with Marvel they could take a similar approach to bring us a game that isn’t intricately connected to dozens of other series, or they tie into the MCU. 2017 will see the cinematic releases of Guardians of the Galaxy 2, Thor: Ragnarök, and an untitled Spider-Man film; Agents of S.H.I.E.L.D. may be in between its fourth and fifth seasons if it lasts that long; the Netflix series’ culmination of The Defenders may also hit our televisions that year. In short, the Marvel Cinematic Universe is always growing and expanding, opening the door for new outlets and additions. Right now there’s no way to narrow down the possibilities that can happen with this game. All we can do for the time is wait and see. Feel free to sound off in the comments what you’d like them to do! Who’s super story would you like Marvel to tell?